A Manx freedom of information act would be expensive to maintain, according to the chief minister. Tony Brown said the island could expect to spend about £1m a year to administer the law, should it be brought in. The bill, which was introduced in the United Kingdom in 2005, would strengthen the public's rights to access government files. The legislation had a first reading in the June sitting of the House of Keys. Tony Brown said: "To set this up could cost about £2m, we know this because that is what happened in Jersey." The proposed bill includes a range of exemptions in line with the Freedom of Information Act legislation in the UK. Chief Minister Brown said it would now be up to the next administration to decide how to progress the bill. 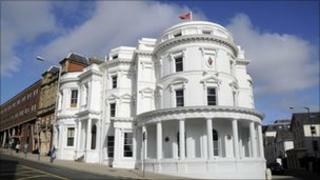 The Isle of Man general elections take place on 29 September.